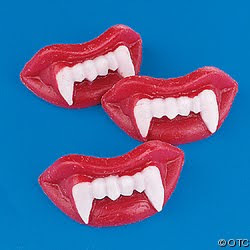 During my years as a Trick or Treater, I always loved it when a neighbor would surprise us kids with a non-candy item. You know, like a tooth brush or a coupon for a Wendy’s Frosty. I guess I just like it when people think outside of the candy box and come up with something creative. If you are looking to give kids something that doesn’t satisfy their sweet tooth, here are some fun, inexpensive items to hand out this Halloween. A lot of these items can be purchased in bulk from a place like Sam’s Club or online at Oriental Trading. 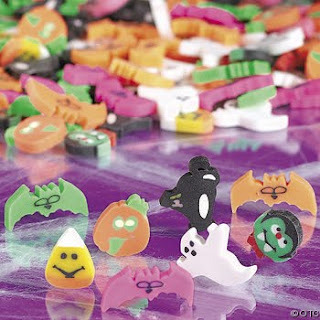 For smaller batches of Trick or Treaters, you could even purchase some items from the Dollar Store. If this post made you miss being a kid and getting all of that delicious candy, visit my post from last year on Trick or Drink - the 21+ way to celebrate the holiday!